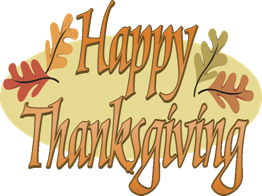 To all those celebrating Thanksgiving, we would like to wish you and your families a very happy celebration. To all our families we wish you a terrific long weekend! A reminder that there is no school on Monday.